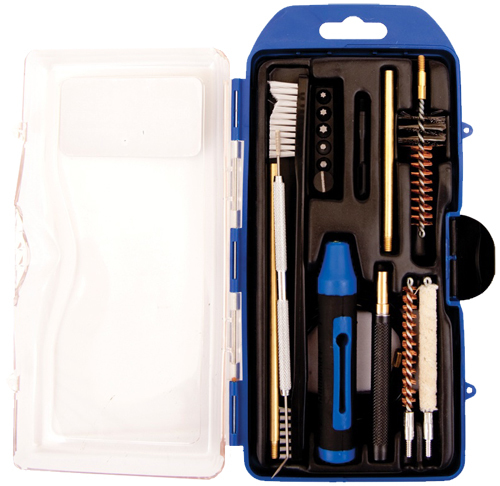 Produced by DAC Technologies, the Gunmaster .223/5.56 cleaning kit is a professional quality kit. 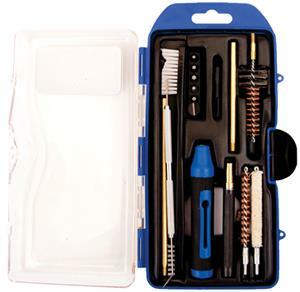 This compact kit comes with everything you need to clean your AR, shelled in a durable, ready to go case. This cleaning kit comes equipped with Hybrid multi-function handle, 33 inch pull rod, 2 brass rods for breech brush attachment, .22 caliber rifle brush, .22 caliber rifle mop, .223 breech brush, 1 double-ended metal pick/scraper, 1 double-ended nylon utility brush, 1 punch pin, .22 caliber slot tip, 25 cleaning patches, and 6 piece bit set.